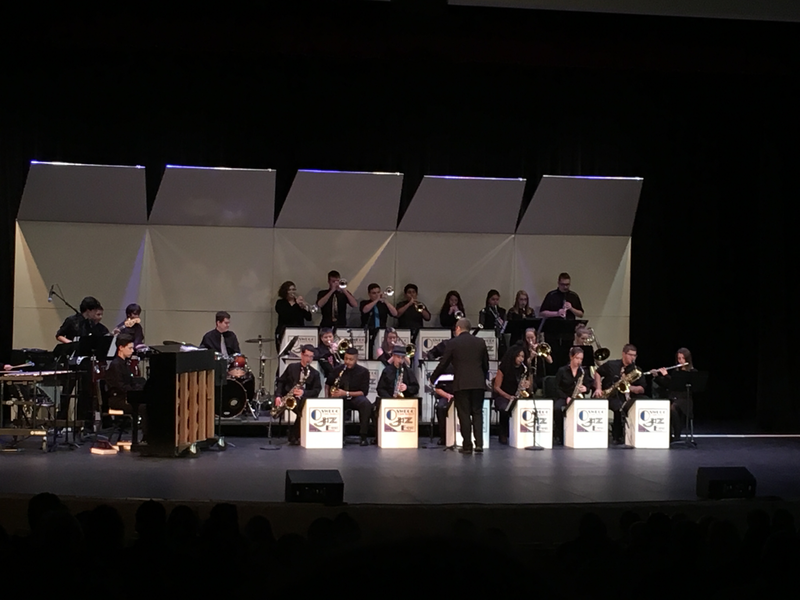 The OHS Jazz program has three levels of proficiency. We have a second bands that we call "Orange Jazz 2" and a third band we call the "Blue Jazz 3". These bands are split down the middle, and play similar levels of music. Orange Jazz 2 rehearses 4-5 on Tuesdays, and 5-6 on Thursdays, and the Blue Jazz 2 rehearses 4-5 Tuesdays, and 5-6 on Thursdays. These bands are directed by Chris Werve.